This November, a California surgeon was placed on probation after mistakenly removing a patient’s right kidney. The operation, conducted in 2012, was supposed to be performed on the patient’s left, cancerous kidney. The surgeon, a urologist who was licensed for 41 years, performed the operation from memory—a mistake that has since required an additional surgery for the patient. While wrong-site operations are not the most frequent of surgical errors, they are more common than one may think. A 2010 study of 6,000 doctors revealed 27,370 adverse events which occurred during surgeries performed between January 2002 and June 2008. Twenty-five were identified as wrong-patient surgeries and 107 were identified as wrong-site operations. “Of these,” reports USA Today, “five patients who received unnecessary surgery and 38 who received wrong-site operations were significantly harmed.” One patient who underwent a wrong-site surgery died as a result. Additionally, a 2006 study reported by CNN revealed even more disturbing statistics. The study found that approximately 2,700 mistakes that involve a wrong-patient or wrong-site operation are made every year. When broken down, this equals nearly seven mistakes made every day. And while the mistakes may not be made intentionally, when they do occur, they can have far-reaching, negative consequences. One recent event in Oregon left a little boy, who had come in for surgery to correct a lazy eye, with two painful operations. As the doctor was completing the procedure, she realized the operation had been performed on the wrong eye. “I feel like we had a right to know the second she realized she was in the wrong eye,” the boy’s mother told CNN. As a professional surgeon, the boy’s mother believes the doctor should have realized right away that she was not operating in the eye with the problem. When a doctor makes a surgical error, such performing a wrong-site operation, a patient is likely eligible for compensation. If this has happened to you, you do not have to go through it alone. 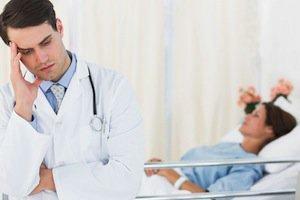 Contact a compassionate and experienced Westport medical malpractice attorney today. We are here to help you get the compensation you deserve.